James Bond is arguably the most iconic characters that we’ve witnessed on the silver screen, as his ability to get out of the most difficult situations is second to none. Bond who’s lifestyle has influenced luxuries we see today, from flash cars like Jaguar, to the latest online casino games at sites such Schmitts Casino. 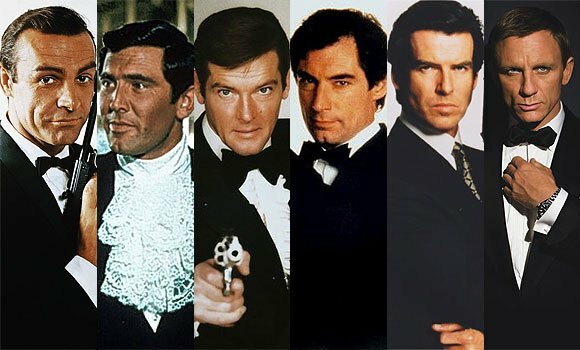 The next instalment in a franchise that has run for 23 films and six different 007s is due soon, in honour of that, here are 10 of his most iconic moments. While Lazenby was never the most popular or revered Bond, his single film was notable for a few action scenes. The most prominent was his thrilling, daytime ski chase, which concludes with an unusually gory scene where the minion gets minced in a snow blower and Bond quips “he had a lot of guts“. This summed up the corny nature of early Bond films, which placed a great deal of focus on light-hearted one-liners and humour. Historically, Bond has always been a Baccarat man, but there have been instances where is he partakes in games such as Blackjack and Poker. Take the 21st Bond film Casino Royale, for example, where our hero competes in a high stakes poker tournament against the terrorist financer La Chiffre. Cue one of the most tense casino scenes in recent time, as Bond overcomes an attempted poisoning and the attentions La Chiffre’s henchmen to win more than $87 million. We now go back in time to a previous generation Bond, and one who for a while was considered to be the best of all time. Despite this, Sean Connery was still capable of delivering the occasional corny line and it is this that helped to make films such as “Diamonds are Forever” so iconic. This film is also enlivened by a thrilling police chase scene, where Bond is pursued in a classic Mustang along a packed Vegas strip. One of the great car chase scenes of any film, this instalment of the franchise is worth watching for this alone. Here we are introduced to another Bond, and one who was played by the irrepressible Roger Moore. Combining camp mannerisms with an imposing presence like no other actor, Moore made the Bond role his own and stared in some of the best films to date. “Live and Let Die” is arguably the finest, with Bond’s miraculous and frankly ridiculous manoeuvre to escape a number of blood-thirsty alligators making for an incredible viewing experience. Given that this is followed by a stunning boat chase, this is undoubtedly one of the great extended scenes. The idea of a blood and guts bar fight seems entirely alien to the Bond tradition, as our favourite secret agent is synonymous with high end restaurants and lavish casinos. This is why the scene in Timothy Dalton’s “A License to Kill” is so iconic, as it features Bond scrapping ferociously for his life is a bar that looks like it belongs in the Patrick Swayze classic “Roadhouse”. If you like breaks with tradition, this is a scene you will greatly enjoy!